What Does the Supreme Court’s Cell Phone Privacy Decision Mean? Home » Criminal Defense Blog » What Does the Supreme Court’s Cell Phone Privacy Decision Mean? Can Police Access Cell Phone Location Data Without a Warrant? In a 5-4 decision, the U.S. Supreme Court handed down what digital privacy experts are hailing as a landmark case in Carpenter v. United States. 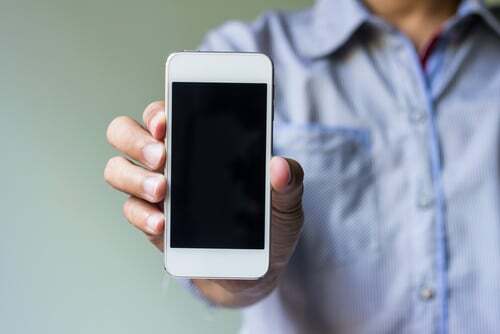 If you own any kind of mobile phone, including a smartphone, you’ll want to read on to learn what Carpenter means for you. In short, the court held that the government must have a warrant if it wants to access the location records in your mobile phone, cell phone, or smartphone. There are exceptions to this general rule, but the court’s decision in Carpenter overturns decades of precedent holding that a person has no reasonable expectation of privacy with respect to their cell phone’s location records. At issue in the case was police conducting warrantless searches of phones in a quest to access people’s location records. As you might expect, cell phone location records can be an extremely useful tool for police officers who are trying to determine an individual’s whereabouts when a crime was taking place. Over the years, the court has held in prior cases that people don’t have a “reasonable expectation of privacy” when it comes to records controlled by service providers — like your cell phone carrier — as those service providers are third parties and people with phones give their carriers that access and control voluntarily. Without a reasonable expectation of privacy at stake, the police have mainly operated under the assumption that there is no legal mandate requiring them to obtain a warrant before pulling the data for a person’s cell phone location records. In Carpenter, the court looked specifically at a series of robberies that took place at various Radio Shack stores and other stores around Detroit. In trying to pinpoint the location of the suspect, Timothy Carpenter, they accessed his cell phone’s location records from his third-party service provider. Based on data that showed Carpenter’s phone had been in close proximity to several of the robbery locations over a significant stretch of time, the government was able to obtain a conviction. On appeal, Carpenter said the cell phone location data should not have been admissible. In his argument, he stated that the lack of a warrant was a violation of his Fourth Amendment right against unreasonable searches and seizures. The government opposed this argument, citing the “third-party doctrine” and long precedent that stated there is no reasonable expectation of privacy for data held by a third party. In examining the third-party doctrine in Carpenter, the court held that the doctrine has a limited scope in the modern era, in which smartphones give law enforcement the ability to track and surveil citizens at almost any given time. The court also noted that the government’s reliance on Smith v. Maryland, a case decided in 1979, applied to numbers a robbery suspect dialed from a landline telephone. In that case, the suspect also voluntarily turned over his location information to a third party, but he did it from technology that a shrinking number of people use today. Justice Roberts also called the location records a “near perfect” tool for governments that wish to keep tabs on their citizens. For people who dislike the idea of a “nanny state” or “Big Brother,” the Carpenter decision is likely a huge relief. Of course, the court’s ruling in Carpenter isn’t all-encompassing. According to NPR, “Chief Justice Roberts classified the decision as a narrow one.” For example, the court left undisturbed prosecutors’ reliance on subpoenas to obtain business records and financial information. Additionally, the court left open an exception for emergency situations, in which police don’t have time to obtain a warrant because the evidence may be destroyed, or someone could be killed if the police don’t locate a suspect as soon as possible. There is also an exception for cases in which the police believe a suspect is a flight risk. It’s also important to note that the court’s decision didn’t address, and thus likely has no impact on, third-party cell phone service providers’ routine practices of collecting and storing customer location data. This distinction means that your location data and additional information are almost certainly still collected and retained by your service provider. If any change in this area is likely to occur, it would probably need to come from Congress, which would have to pass legislation limiting service providers’ access to data, or perhaps requiring service providers to give their customers an opportunity to opt out of this type of data collection and storage. Prior results cannot and do not guarantee or predict a similar outcome with respect to any future case.